Quality is one of JCS' core values. Through decades of experience working on IT projects and programs of all shapes and sizes, we have learned that unyielding attention to quality is a hallmark of success. Whether it is reflected in the completeness of our work plans, the accuracy of our budgets, or the way we interact with others, our commitment to quality is evident. On a critical project or a large, complicated program, a small problem left unattended can easily evolve into a major issue. It is imperative that you have mechanisms in place to prevent problems where possible, and to quickly and effectively address them when they do arise. One prevalent misconception about quality is that it 'takes too much time". On the contrary, our experience has shown - time and time again - that a focus on quality both saves time and improves performance. Simply put, doing the right thing the right way is better, faster, and more efficient in the long run. When problems do occur, dealing with them in a swift and comprehensive manner will minimize their negative impact on the effort. Quality management on a project or program can take many forms. One way to improve quality is to make effective use of proven methods and tools. Another approach is to include development and review of formal project deliverables at key steps throughout your effort. 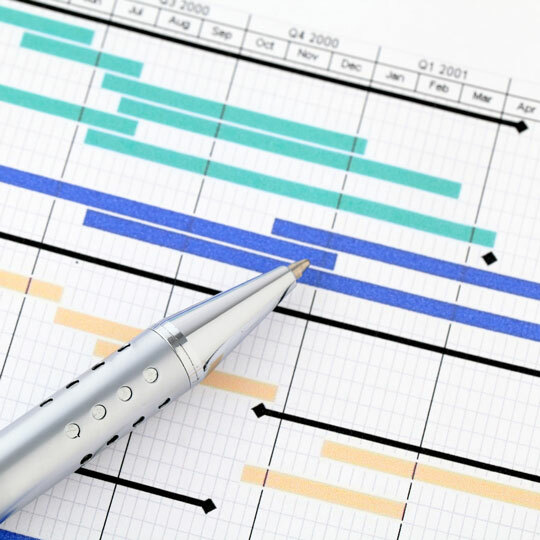 A good status reporting process can be another way to drive quality on a project or program. Ensuring that your team is appropriately trained to perform the work they are assigned, and instituting regular peer reviews of key work products are other quality management techniques. Regardless of the size or scope of your project, paying attention to quality will save you time and money in the long run. JCS can work with you to develop a tailored quality management approach for your project or progam, and to help you deploy it effectively.